The Mobius & Ruppert Desktop Design Sharpener is a double-hole sharpener for sharpening both graphite and colored pencils. Sleek and simple, it sits flat on any surface and has a shavings reservoir. 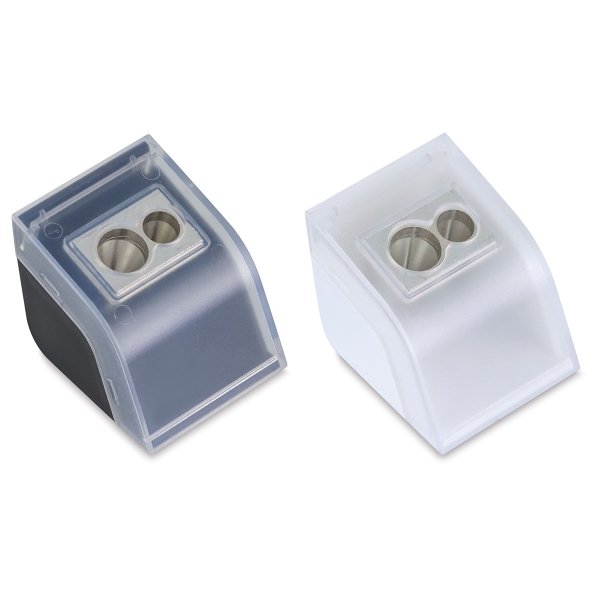 The sharpener comes in Black or White (please allow us to choose the color).